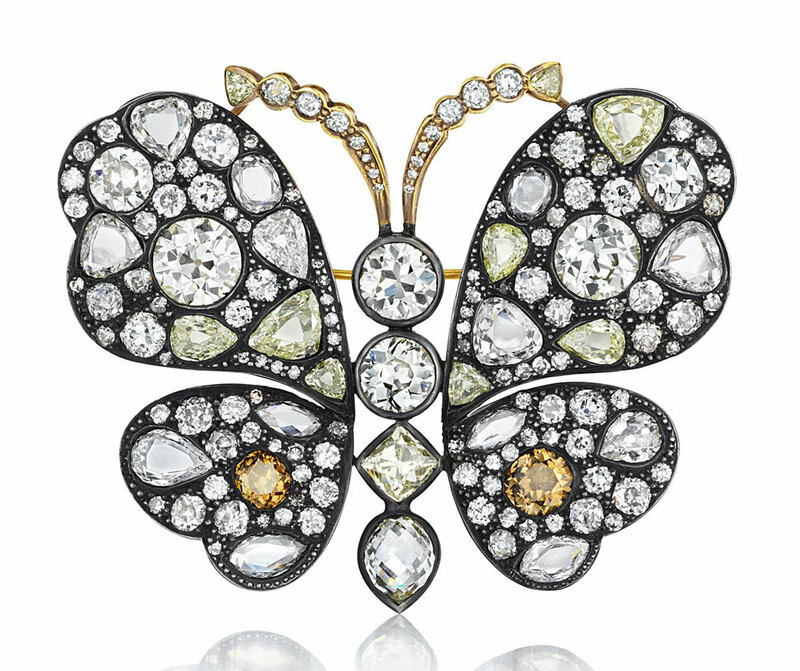 Since it’s Christmas and holidays gift-giving, December is crowded with jewelery auctions. 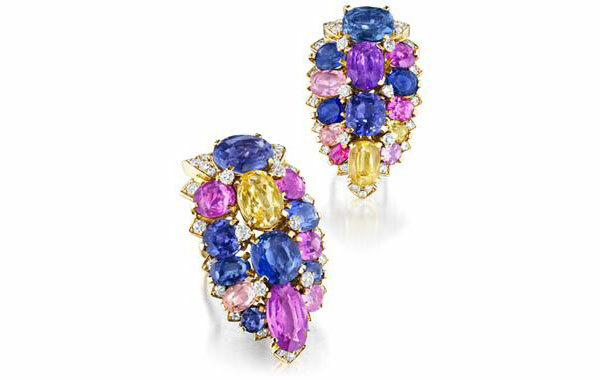 First, on December 5th, Sotheby’s will held its Magnificent Jewels auction in New York, and the day after on December 6, Phillips de Pury & Company will offer amazing selection of diamonds and precious gems at its New York Jewels Auction. Among over 300 lots with an estimate of $500,000-700,000, we single out a necklace mounted in platinum with approximately 35.89 carats of D-color Internally Flawless diamonds in total. 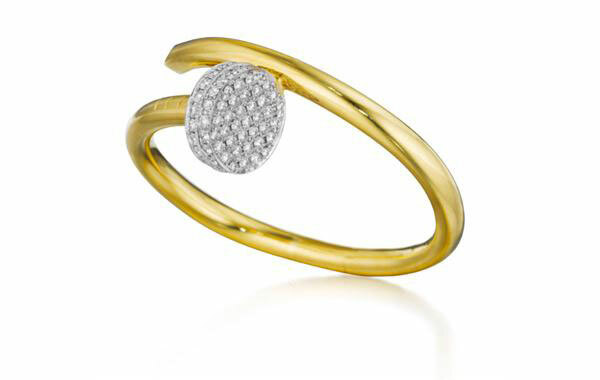 Of the 28 stones, 7 of the diamonds are classified as the rare Type IIa. Other top lots with six-digit estimate include: a massive diamond ring set with a 16.62 square cut stone of H color and VS2 quality carries an estimate of $450,000-650,000. 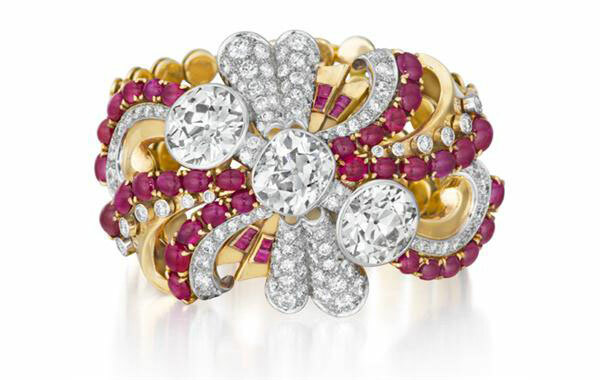 It is set in an 18K white gold pavé-set diamond floral motif surround and gallery. 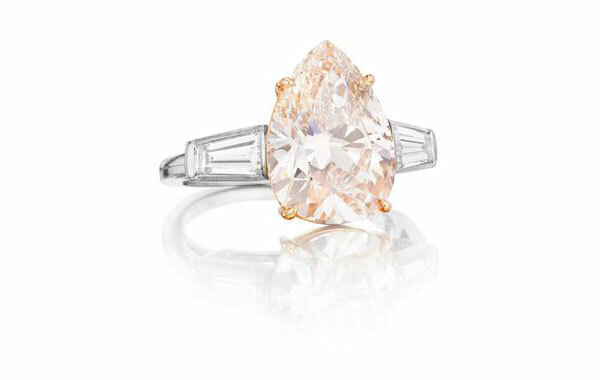 Also, a cushion-cut natural fancy yellow diamond ring of approximately 10.05 carats mounted in a pavé-set diamond and platinum gallery and hoop with an estimate of $140,000-$200,000, or, pear-shaped natural fancy light pink diamond of around 5.07 carats mounted in platinum and 18K rose gold and framed by tapered baguette-cut diamond shoulders, is estimated at $125,000-$175,000. 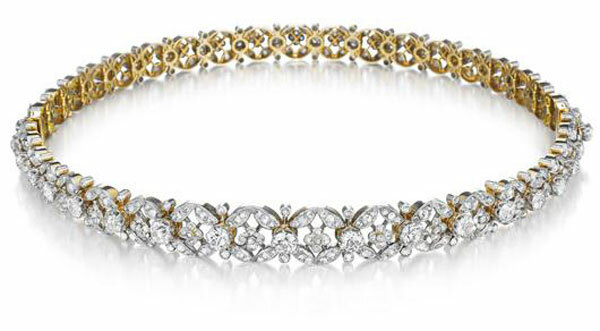 Also stunning jewelry pieces, but with more affordable prices include: Pair of Diamond Ear Pendants, each designed as a gradutated series of highly flexible pavé-set diamond links, interspersed with collet-set circular-cut diamonds, to the geometric motif circular-cut diamond surmount, mounted in 18K white gold, Signed ‘Cartier’, estimated $35,000 – $45,000; An Art Deco Diamond and Emerald Bracelet, designed as a series of rectangular-shaped circular-cut diamond openwork links, centering upon two navette-shaped accents set with an old-cut diamond, joined by tubular circular and baguette-cut diamond link spacers, accented by calibré-cut emerald detail, mounted in platinum, estimated $35,000 – $45,000; a Gold Leaf Necklace, composed of a graduated series of twelve textured gold leaves, mounted in 14K green, rose and yellow gold, Signed ‘Tiffany & Co.’, 1981, estimated $15,000 – $20,000; a Pair of Diamond and Gold Earclips, each designed as stylized leaf, set entirely with circular-cut diamonds, to the polished gold stem, mounted in platinum and 18K yellow gold, Signed ‘David Webb’, estimated $15,000 – $20,000; a Malachite, Diamond and Ruby Necklace, suspending a floral shaped malachite disc, within a rope-twist gold frame, centering on a geometric rose-cut diamond plaque, extending cabochon ruby accents, to the openwork gold link chain, interspersed with collet-set rose cut diamonds, mounted in 18K yellow gold, Signed ‘Cartier’, ‘Mexico’, estimated $13,000 – $18,000. Would You Pay $350 For Rose Gold Straw? New Home & Accessories Collection by Tiffany & Co.
Would You Pay $10,000 For Bird’s Nest With Tiffany Signature?